The Pavilion at IPC ......It's sure to be a day you’ll never forget! Experience Sunday brunch on the veranda of the finest polo venue in Florida. 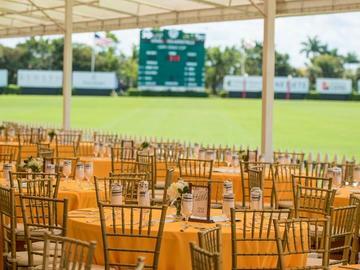 The Pavilion has become THE destination for those looking for the ultimate polo social scene during the winter season.Come enjoy a thrilling polo match, fabulous cuisine, entertainment, fashion, and world-class celebrities featured at the International Polo Club Palm Beach every Sunday. Ticketleap will appear on you credit card statement as our ticket processing company. No refunds are permitted due to weather conditions, Sunday Brunch will still be served.